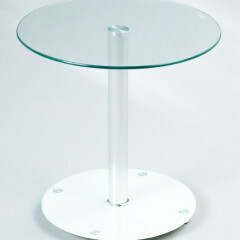 Small but mighty: Our side table ROMEO in white. 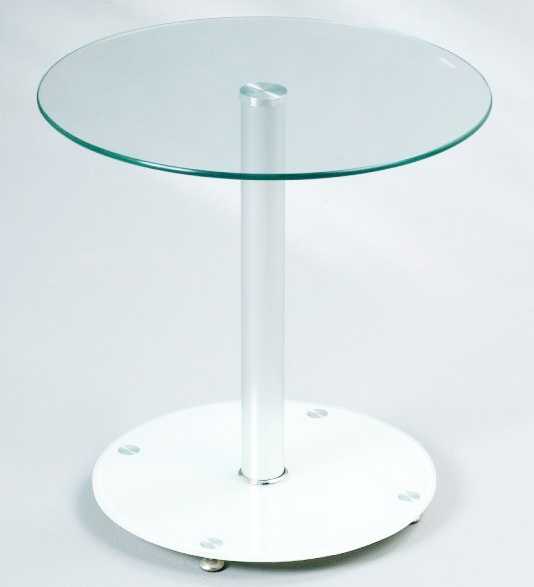 Both cover plate and base plate consist of safety glass, the rack is made of aluminium. For a cosy lounge corner or a fancy fair stand we highly recommend ROMEO with lounge seat JULIA and sofa JULIUS.